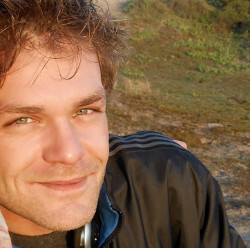 Sven Spruijt is 32 and lives in Rotterdam, the Netherlands. About two and a half years ago, he started working as a developer for an international company at their office in Leiden. It is his first job as a developer, before that he was a systems and network administrator. He is involved in web development projects, which he really enjoys doing. He likes thinking from different perspectives, from the perspective of the database to the perspective of the end-user. He likes being creative and losing himself in the projects he works on. In this interview, we find out more about Sven, as well as the usage and motivations behind the NetBeans theme builder. Hi Sven, how and why did you get started using NetBeans IDE? About three or four years ago, I started building a community website for organizing tournaments for an online FPS (videogame). This was the first project where I started noticing the limitations of Notepad++, which caused me to start searching for an IDE with support for PHP. I found NetBeans IDE, I think it was NetBeans IDE 6 at that stage, and I’ve been using it ever since. Which features do you like the most in NetBeans IDE? Because NetBeans IDE suits me well, I never really gave much attention to other IDEs. What I like a lot about NetBeans IDE is the freedom I have to configure it a lot to match my own needs and taste. For example, you can configure your coding standards and then you're able to apply them with Source | Format. Also really great is the integration of various versioning systems. At work, for some projects we use SVN and for some others we use Git. Both work great from within NetBeans IDE. For most projects I have the code on my local development machine, with NetBeans IDE configured to store a copy on a remote development machine when it is being saved, which is also great. Other features I use a lot are ‘Find usages’, ctrl+clicking functions, searching within a selection, code completion, and reading documentation by hovering over related code. NetBeans IDE 7.4 has just been released, which of its features do you find most interesting? Now, let's turn to the NetBeans theme builder. When and why did this project start? When I started using NetBeans IDE I searched the web for additional NetBeans themes. They were scarce. 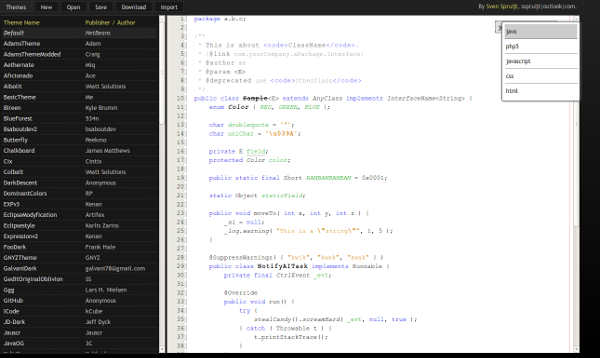 While searching, I encountered themes for other IDEs, some of which I really liked. At some point, I tried to recreate an Eclipse theme from within NetBeans IDE, but I found that to be tedious and confusing. How did you create the theme builder? The generated XML files get archived in a ZIP file and sent to the browser. 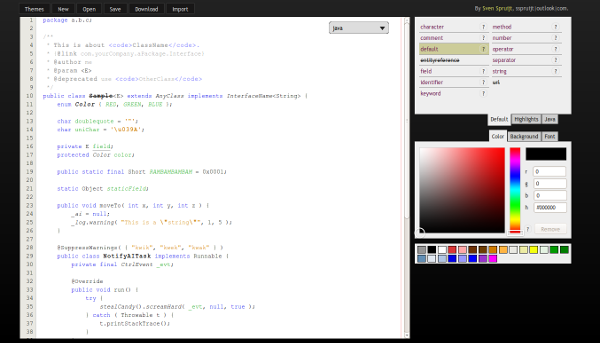 Existing NetBeans themes and Eclipse color schemes can be imported as well, which the back-end converts to a format the front-end can use. Can you provide some usage instructions? Design your theme, click Download, and provide a name for the file. Within NetBeans IDE, click Tools | Options and the Options window opens. Do you have any indication of how widely it is being used, any usage statistics, any interesting feedback? The theme builder does not really track statistics. But Google analytics tells me the theme builder is visited about 30 times a day on average. And, per month, about 525 themes are downloaded from the builder. When I had just put the theme builder online, I was very happy and excited, and posted the link in "where can I find NetBeans themes" questions on stackoverflow, but I haven't done much else to promote it. Is the project now complete or are you planning to add more to the theme builder? I am not sure. I’m very busy with work and my private life, so I don’t have much time available. But I do really miss a feature that allows for theming of ‘Diffing’. Thanks Sven and many thanks for your great theme builder!